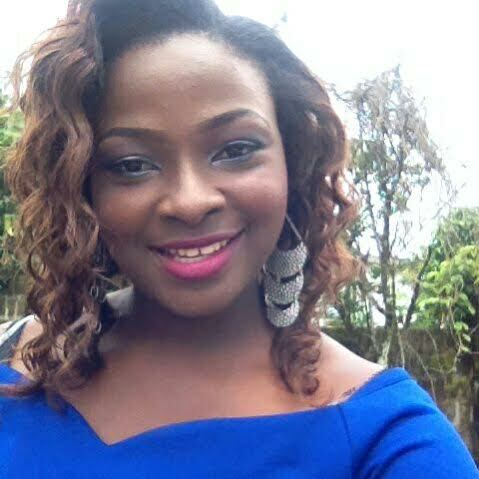 Beautiful Nigerian lady Michelle Ekure, was born into the family of Mr. Ekure in Eku Delta State. 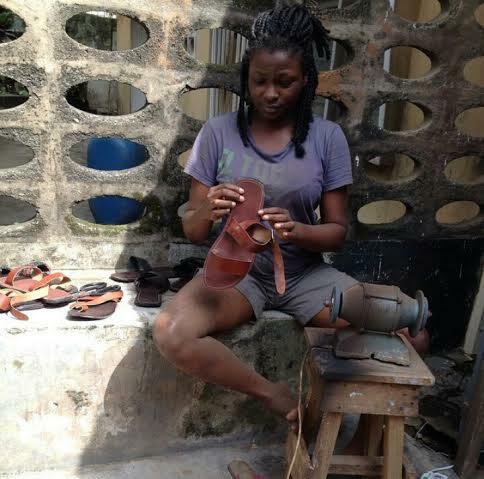 In order to defy joblessness, Michelle, a graduate of the department of International Studies and Diplomacy from the University of Benin, ventured into shoemaking, designing patterns and building shoes herself. Michelle, in an interview with Lukmon of Wazobia Global Times USA, explained how the journey into shoemaking started for her. Lukomon : So Why shoemaking? 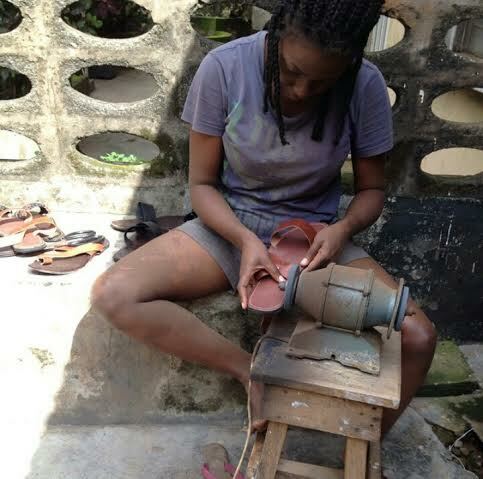 Michelle : My inspiration is from God, I never knew I would be a shoemaker. I graduated from the University six years ago, after which I looked for for job, but to know avail. At sometimes I got employed by a company in Lagos, but the boss was owing too much so I left. On how it started, there is this other company I buy sandals in Lagos and resell. They sell nice shoes, so one day I thought to myself that I can tell this people to make sandals for me with my label, so I approached them and they said yes. That was how I got my first set of shoes. 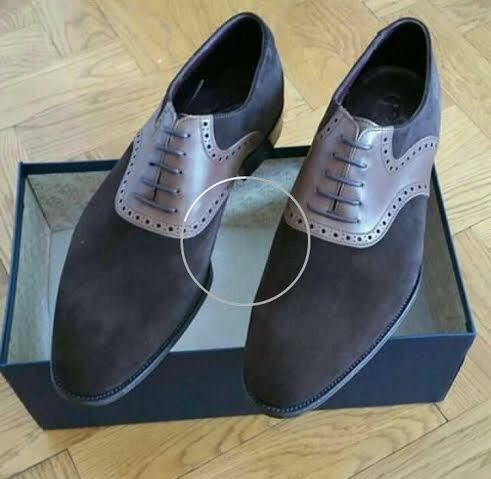 Then a friend introduced me to a guy that makes shoes. I watch him make shoes one day and I was amazed then I asked him to teach me and he did. Lukmon : That's a lovely beginning. Lukmon : So how do you drive sales and who are your target customers? Michele : My target audience are Men of honours, people like the famous Nigerians comedian Alibaba...lol . I make direct sales, but I drive more sales on social media platforms likeinstagram, facebook and twitter. Micheleleather sales per week is over 50 pairs. Lukmon : Wow! That's a great number. You must be a workaholic. Do you have partners? Michelle : No, maybe someday. But I have people that are learning under me. Lukmon: How many are your apprentice? Michelle : There are about 6 of them and more are still coming. Lukmon : Talking about the Nigerian famous comedian Alibaba. We've seen pictures of you with him. Are you in anyway related? Michelle : No we're not related, but he is like a father to me. He always want to see me succeed. Lukmon: So, if not shoemaking, what would you have ventured into? Michelle : Maybe work at foreign affairs of British council or UN embassy. I love to be a diplomat . Lukmon : Hmm. That might come to pass one day. Lukmon : So, what's your advice to young ladies that are yet to find there ways out there? Michelle : I always tell people I come in contact with that are looking for job to start something, anything you are good at can bring money to you or just learn a trade. Lukmon : Is there anything else (e.g unpopular fun fact about you) you’d like to add that might be interesting to our readers ? Michelle : Hmm... Let them find out. I'm a very interesting person be with though, I have my moment. Lukmon : Thanks for your time, we appreciate chatting with you. Michelle : You're welcome lukmon.